Shelley Mabe is using Smore newsletters to spread the word online. What's new in the dōTERRA world for February? 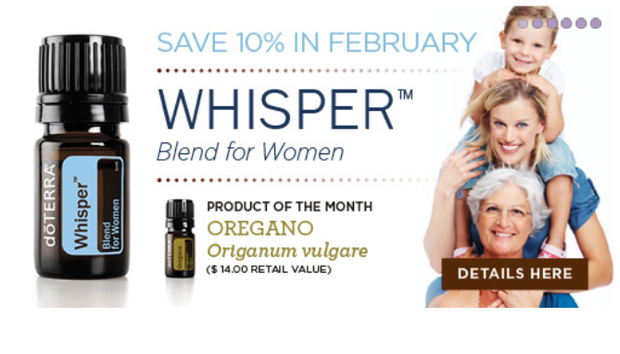 Submit your 125PV Loyalty Rewards Program order by February 15th, and receive a FREE 5ml bottle of Oregano essential oil! If you have not tried the Whisper blend, be sure you do this month! I use it daily for perfume and deodorant! It smells amazing, and makes me feel good! It is the romance blend, so it is perfect for Valentines Day! Whether you are new to dōTERRA, or you enrolled a year ago, you should all be utilizing the Loyalty Rewards Program (LRP). This is how you get FREE products, earn a paycheck, and grow a team! Watch the short video below for details! 1. Log into www.mydoterra.com using your member ID and password. If you do not know what these are, contact the person who enrolled you. 2. Click on the 'shop' tab. 3. On the right side of the page, create a new Loyalty Rewards Program order. 4. Add items to your cart. 6. Pick your ship date. 8. Orders can be changed up until the day before your chosen ship date. 9. Remember, ifyou want to get paid for enrollments of your own, your LRP needs to be at 100 product value or more. 10. Talk with the person who enrolled you with questions or concerns. 11. Watch your points add up each month! 12. Cash them in for FREE PRODUCTS!!! Holiday Inn of Norton. This is the perfect class to invite your friends to, and an excellent one to attend yourself! Be sure when you invite or bring people to these classes, the new person signs in as your guest! If they want to enroll, and you don't know where to start, call me! I am here to help each of you. Learn more about dōTERRA Essential Oils. Remember to register your classes for February! New enrollments with a 100 product value enrollment in February, AND 100 product value Loyalty Rewards order in March, gets $100 free oils! They must enroll within 3 days of the registered class. Host a class in your home! If you don't like speaking in front of a group, invite your friends & family over & turn on this video for your guests! I have created an event for this on Eventbrite. Please invite your friends and families to sign up for this online class. Be sure you tell them to message you or call you after they have watched the video with questions! This is a great tool to use during this terrible weather we're having! I will be setting up a booth with doTERRA products, and refreshments made using essential oils on both of these days. This is a huge event, with 5,000 - 10,000 people attending! If you would like to join me on either day to hand out information, speak to people about essential oils, and grow your teams, please contact me! I welcome all of you to come and join me! Call me with questions of any kind! Wow! January was a record breaking month for team Mabe! We added 17 new members to our team! Congratulations Jeana Johnson on 7 of those enrollments! You worked hard, and are seeing the results of what Fast Start Bonuses can do for your business! Going forward, I will be mailing a gift to anyone on our team with 4 or more enrollments in a month. Jeana, check your mailbox! Our move has been an adventure for us already! 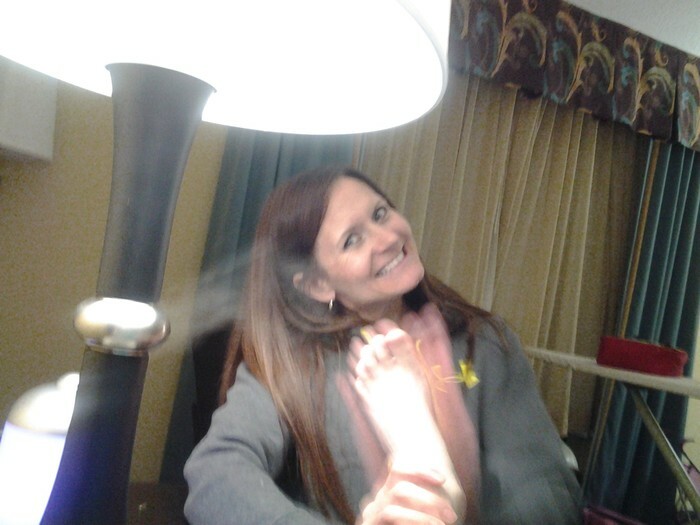 We finally moved out of our hotel on Thursday, January 23rd. We are settled in our new home, and enjoying our new chapter in life. Please pray for my family! Be sure Iif you have a question, or if you need anything, call me! I will be back in VA once a month teaching classes. Contact me if you or anyone you know would like to do a class.